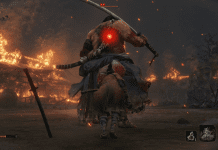 FromSoftware’s latest launch Sekiro: Shadows Die Twice has surpassed Devil May Cry 5 to become the third-largest Japanese launch on Steam. Not only that, Sekiro has become the largest launch on Steam this year so far. The second-largest Japanese launch was also from FromSoftware, i.e., Dark Souls III. Monster Hunter: World stands first, Metal Gear Solid V: The Phantom Pain at fourth and Devil May Cry 5 at fifth. 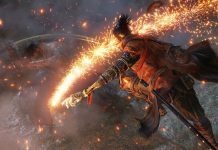 At its current pacing sales rate of Sekiro: Shadows Die Twice, it will soon pass Devil May Cry 5 to take its position. 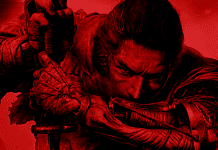 Based on data from SteamCharts, Sekiro: Shadows Die Twice sold around 100,254 copies in just 24 hours since its release. It’s interesting how many people speculated the game won’t sell much. Not just that, the game is currently the best-selling PS4 game on almost every Amazon website. Devil May Cry peaked around 88,894 players and Metal Gear Solid V: The Phantom Pain peaked around 91,195 during their first 24 hours respectively. Also, Sekiro: Shadows Die Twice is the first-ever singleplayer game from a Japanese developer with the most concurrent players. Another interesting fact to keep in mind is that FromSoftware didn’t use Denuvo anti-piracy protection for Sekiro: Shadows Die Twice. Despite being cracked within its first 24 hours, Sekiro: Shadows Die Twice is selling pretty well. Sekiro: Shadows Die Twice received great reviews from media outlets, with a 91 Metacritic rating on PC. Make sure you subscribe to our push-notifications and never miss an update on Sekiro: Shadows Die Twice. Until next time, Happy Gaming! from has a good name in the industry and the market knows they deliver good product. despite being pirated on day 0 people are buying because they want to support the company for their hard work. and them not using denuvo only adds to it as its been knows to increased start-up time and decrease fps and still get cracked . Yeah. I’ve read comments from people who initially pirated the game but after a few hours, instantly purchased it. This game deserves the money.